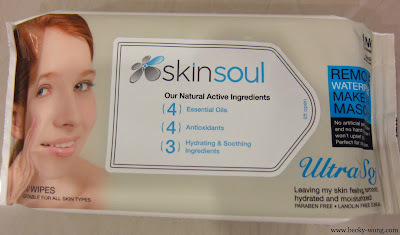 After taking some time off from writing beauty post, I'm going to talk about a brand that I've came across multiple times but never tried before - SkinSoul. SkinSoul was developed by Dr Joanne Au Yong, which is kind to the most sensitive skin while restoring the skin through the miraculous powers of nature. Staying true to their philosophy, their skincare and make-up range are free from ingredients that are harmful to the skin such as Paraben. The SkinSoul Ultra Soft Facial Towelettes a.k.a Clinical Wipes are formulated with Swiss Glacier Water 4.4.3 - 4 Essential Oils, 4 Antioxidant, and 3 Hydrating & Soothing Ingredients. It wouldn't clog your pores. It wouldn't leave make-up residue on your beloved pillowcase. It doesn't irritate the skin or eyes. Good for acne-prone and ultra-sensitive skin, and friendly for all skin type. Not greasy, not oily, not soapy and it doesn't sting. No artificial perfume, colour, harsh chemicals are added and Paraben and Lanolin free. It's simple, easy to and convenient to use just in 1 simple wipe. The facial wipes are longer in size compare to your usual ones but not as thick. 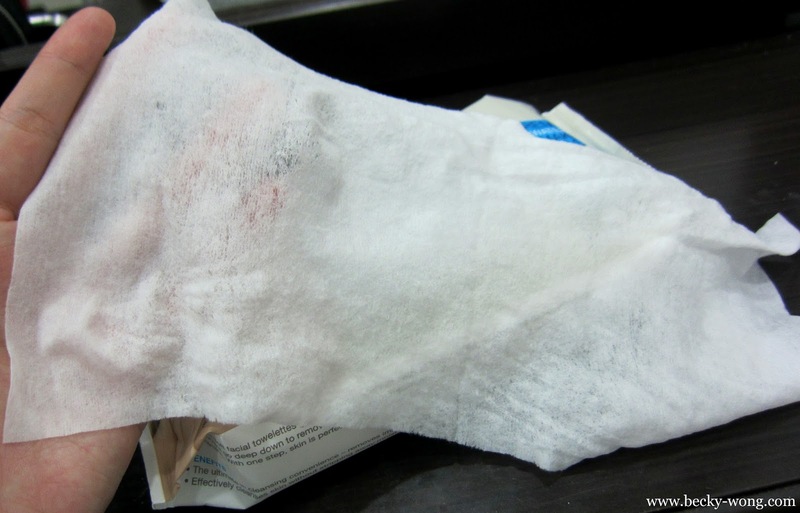 Because of the wipes are not too thick, you can easily tear it into half if you do not need to use the entire to remove your makeup or cleanse your skin. 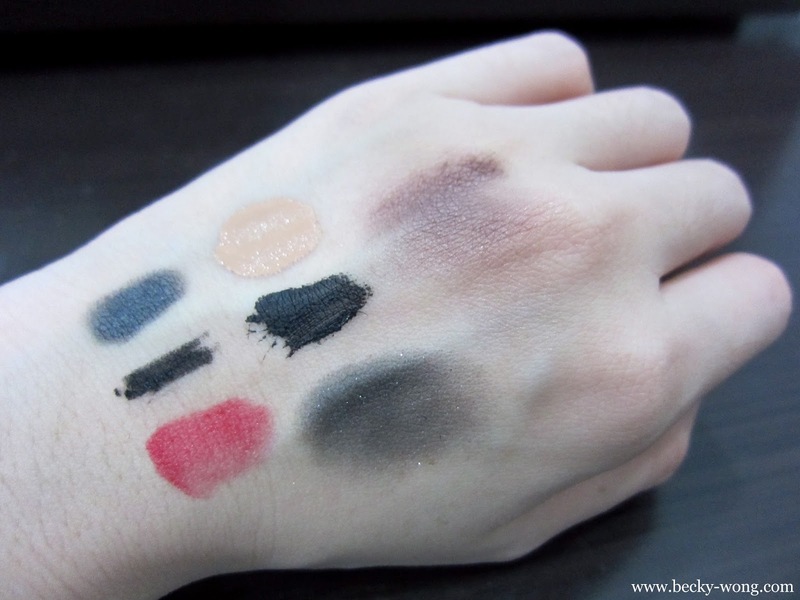 I applied various cosmetics on my hand - kajal, waterproof gel-eyeliner, matte lipstick, concealer, mascara, and eye shadow. Using only 1 swipe, the facial wipe does remove most of the make-up apart from the waterproof gel-eyeliner and some of the eye shadow. Personally, I'm quite satisfied with the results. 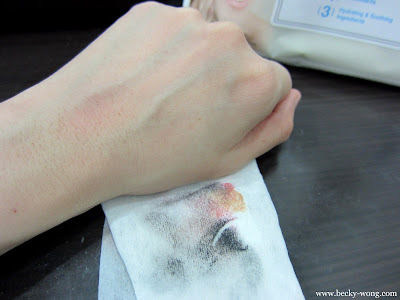 After all, it's really not THAT easy to remove those "super duper" waterproof make-up. The make-up was effectively removed after a few swipes using the facial towel. I really how fast and easy the facial wipes are, not only in removing make-up, but also how refreshing my skin felt after using it. 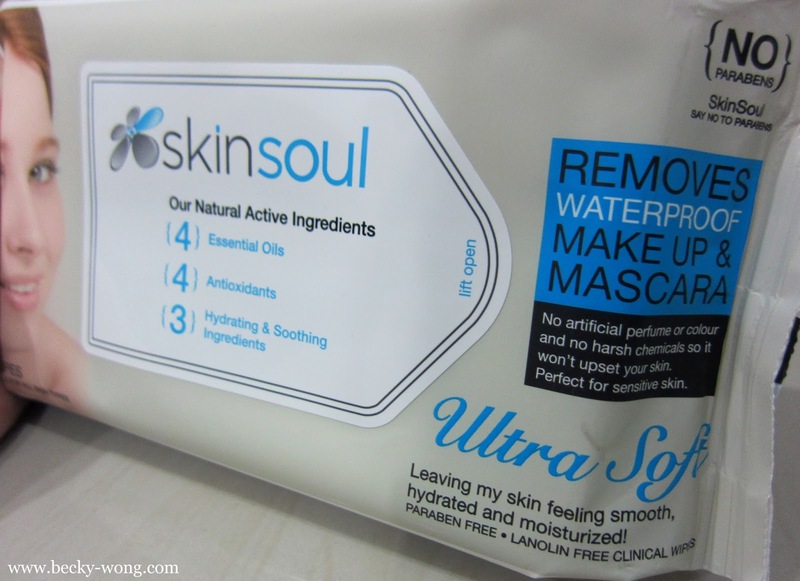 My skin felt smoother and subtle after using it. Also, there's a very mild pleasant scent left on my skin after using it. The texture of the wipe is very soft and it doesn't hurt the skin while I was trying to remove the make-up. I've tried facial wipes from many brands, but none of them gave me such positive results. 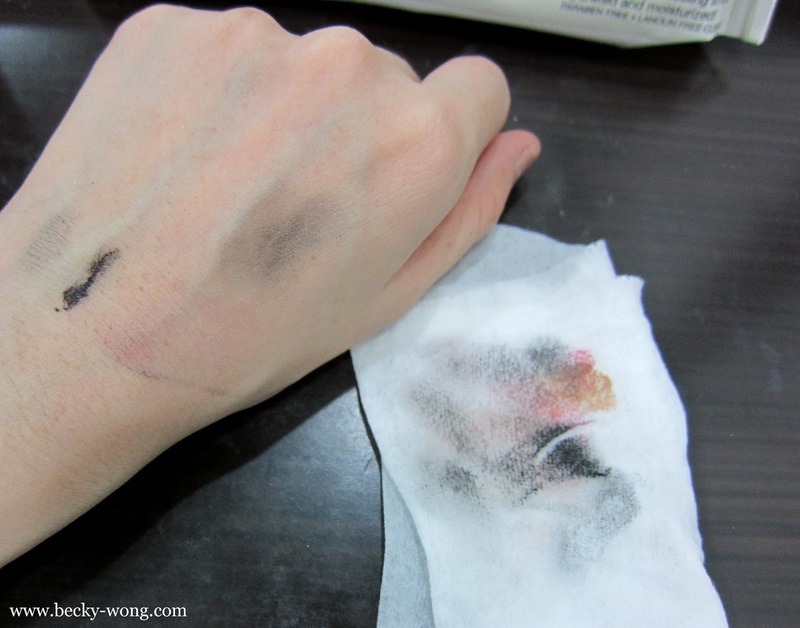 They are either too drying or irritates my skin too much, or not removing the impurities and my make-up properly. 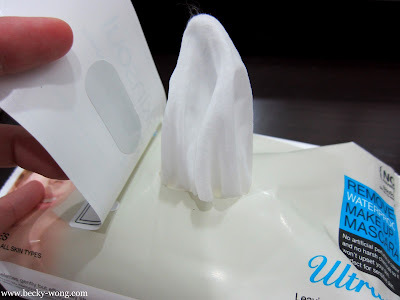 On top of this, the wipes are quite reasonably priced too - RM 53 for 60 wipes. 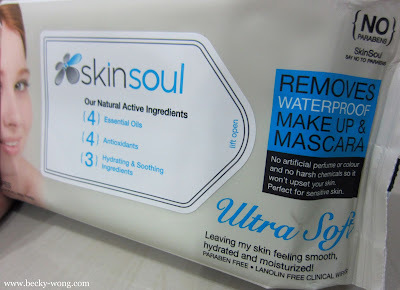 Overall, I'm very satisfied with the results from SkinSoul Ultra-Soft Facial Towelettes, and it will definitely become one of my travelling essentials! 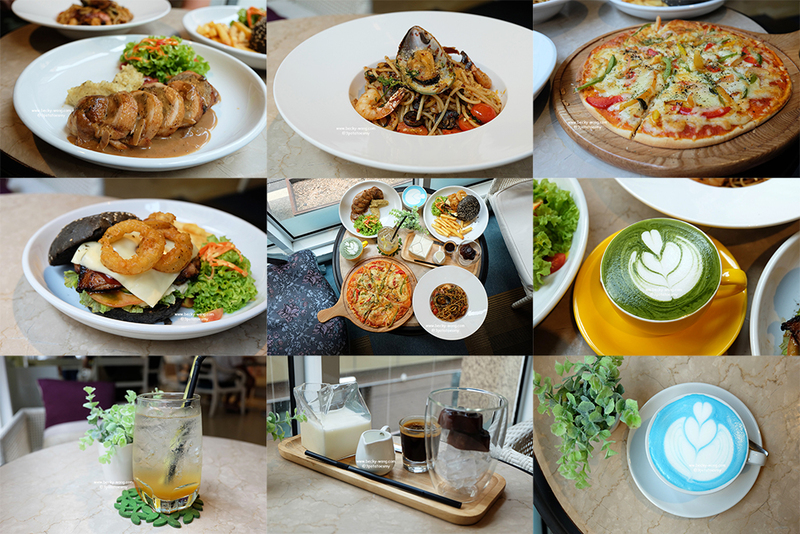 SkinSoul has quite a few kiosk throughout Klang Valley, and their boutique store is in Midvalley. I have good news for you. Just mentioned #ssrebecca and purchase 2 SkinSoul Facial Towelettes and walk away with a limited edition (not for sale) SkinSoul Lip Balm.